permaculture in brittany: Timber extraction using heavy horses. 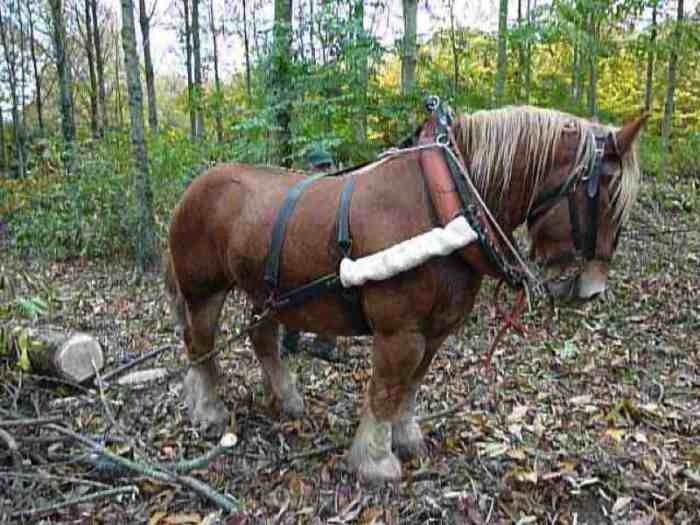 Timber extraction using heavy horses. 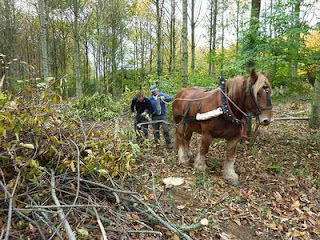 As owners of a little bit of French woodland (11 acres / 4.5 hectares, to be precise) we are signed up to the Centre Régional de la Propriété Forestière, a wonderful organisation who help, support and advise owners of private woodlands. They also organise free educational visits and I’ve already been on three this year, learning how to recognise soil types and so chose appropriate trees to plant; how to manage the relationship between woodlands and wildlife such as deer and wild boar; and how to recognise plants that indicate the soil and conditions where they grow. 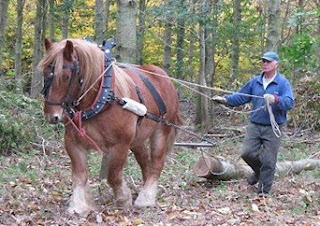 They run over twenty of these each year but we had just one more marked up on the calendar: débardage à cheval, timber extraction using a heavy horse. Gabrielle joined me this time, finding the subject matter a touch more interesting than soil analysis. A week or so before, the CRPF send through details of the meeting and directions of how to get there. We met up at 2pm, the hour when France officially re-starts the working day after lunch and then drove in convoy a short way to the wood. 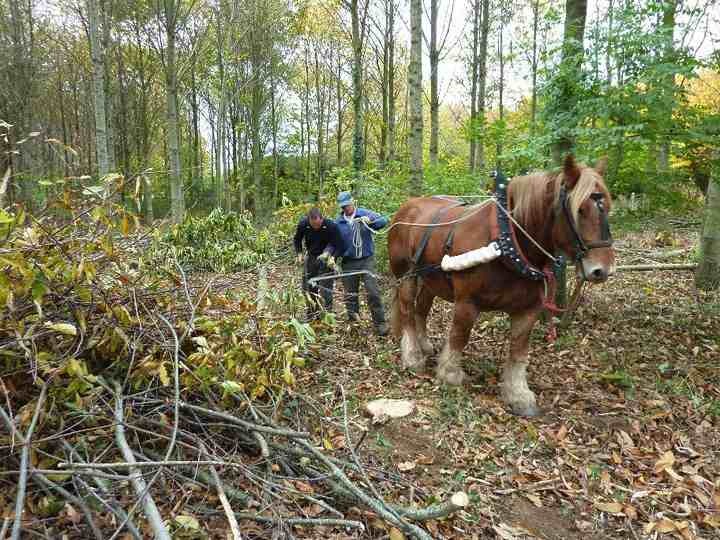 Upon his retirement from farming, the owner had planted up 30 hectares of fields where he’d previously cultivated cereals with 70% sweet chestnut along with American red oak and some local oak and, in a wetter patch, 1 ha of poplar. The 17 year-old trees were already impressively stocky and due their third thinning. The expert from the CRPF explained that this ambitious plan was made possible by fertile soil and good management. When thinning on an industrial scale, a whole line of trees might be taken out, which allows the large machinery to accomplish the task. 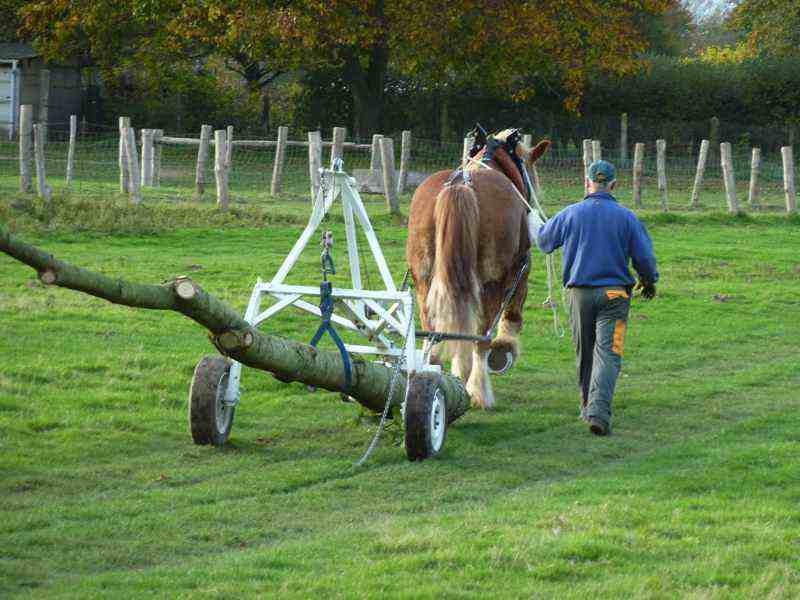 Ideally though, the best trees are selected as “keepers”, then the tree nearest to it which is its main competition for nutrients and light is removed, then the next keeper 6 metres away is chosen and the procedure repeated. 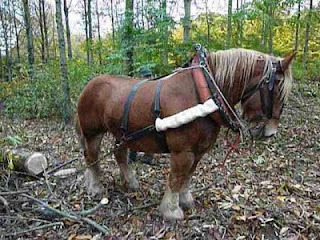 With this more random pattern of felling, the trees now too large to carry out as poles and the use of vehicles both difficult and undesirable (they compact the soil) the owner turns to one man and his horse. In our post-modern age, I find it greatly pleasing that there is a real will to retain old country crafts and skills and, more than that, that we are turning to them once more, and for being really useful rather than just nostalgic whimsy. One modern touch: the collar plate is made of carbon fibre, the stuff they build Formula 1 racing cars out of. After a too-long introduction and a badly-managed question session (“don’t feel obliged to ask yet another inane question, in fact, could everyone please shut up so we can watch the horse go to work”) Loïc Lejosne, aided by trainee Jérémie, attached a tree trunk to Shere Khan’s harness and, with a word of command and a flick of the reins, the tree was dragged away. Only four year’s old, Shere Khan is still a youngster learning the trade and so most of Loïc’s efforts were to try and slow him down so as to pace him for a day’s work. 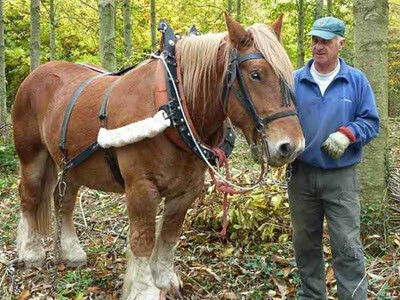 Everyone loves a horse and it was difficult not to be inspired by such a solidly handsome beast and the fact that Loïc seemed unable to keep a smile off his face as he proudly explained his job, no complaints of burnout, boredom or blues at his workplace! Gabrielle has told me that the Christmas present she’d like from me is a day’s course learning how to drive a heavy horse and cart. wow, the horse is gorgeous. 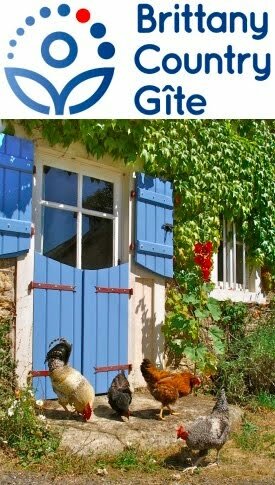 loic, is that a bretagne name? it sounds quite medieval. or pre medieval. Hi Purejuice, thanks for your comment. I've gone hunting around the Francophone Internet to answer your question. Loïc comes from Germanic origins and is a derivative of Louis. It's not especially Breton, although I know a few people locally by that name. Really interesting blog and marvellous photos, thank you.